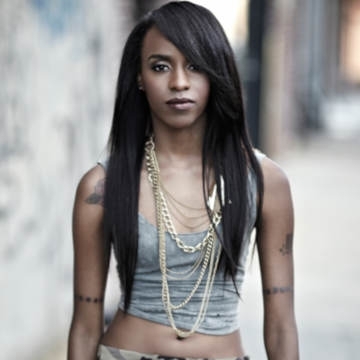 Raykeea "Raeen" Roes Wilson, better known by the stage name Angel Haze, is an American rapper and singer. Angel Haze is an enigma who defies easy categorization. Since their self-released debut mixtape, King (2011), the Detroit-born rapper, singer and writer has interwoven the themes of abuse, despair, and suicide, with expressions of hope, courage, and triumph. Haze’s truth- spewing storytelling has attracted a global cult following and accolades, such as coveted positioning on singles charts in the US and UK and 2014 MTV VMA and BET Award nominations.